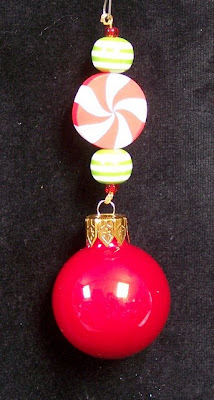 Bring a bit of whimsy into your holiday decorating with one of these colorful ornaments--straight from the North Pole! 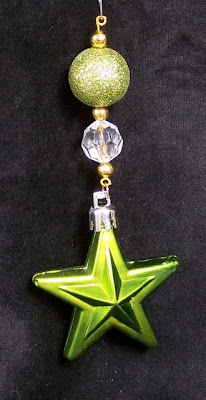 These one of a kind ornaments range in length from 2 3/4" to 6 1/2". 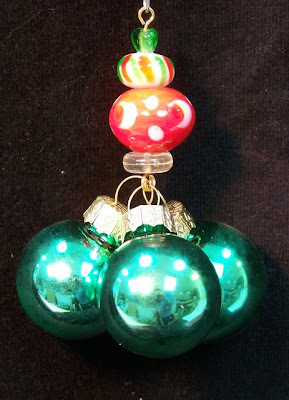 They are made from vintage and new beads, ornaments and jewelry components in a variety of materials including: glass, wood, bakelite, lucite, acrylic, plastic, resin, gold and silver-filled zinc, and sterling silver. Contact me with item # for detailed descriptions. 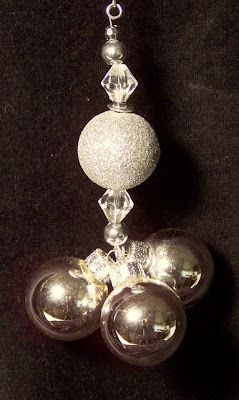 If the ornament you want is sold, I can make one similar. 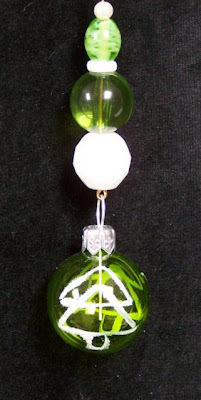 I can also make custom ornaments for you! 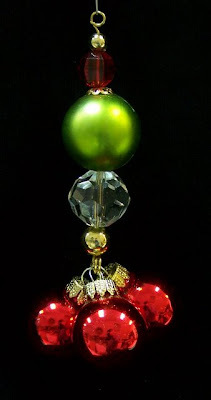 Go to: Beaded Christmas tree ornaments home. 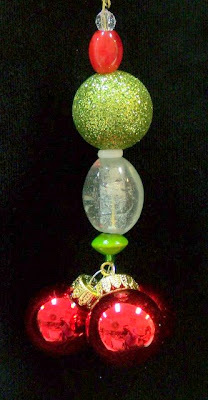 Go to: Holiday decor & gifts.